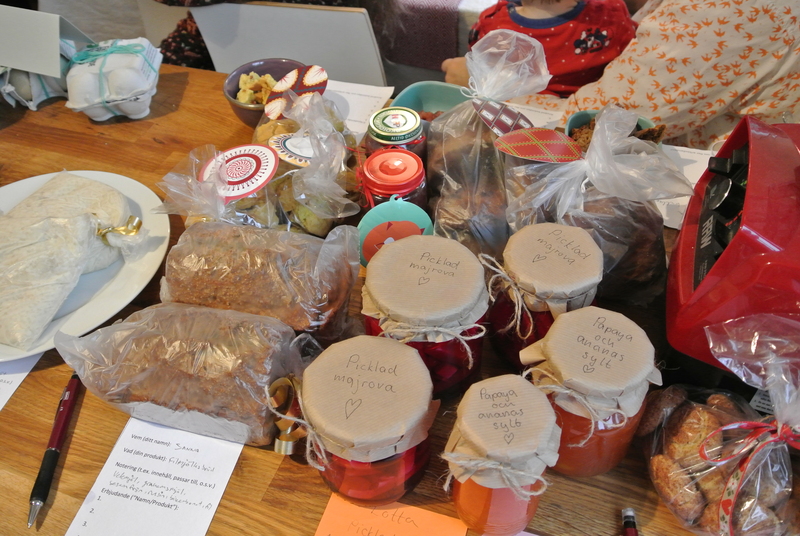 Last Saturday we held a food swap at my house. This was the first time we arranged a swap at someones house and it turned out really well. Since it’s Christmas we thought it would be nice with a more personal event where you had the chance to mingle under more relaxed circumstances. More people than expected turned up and our kitchen was completely crowded, both by people and by edible items. 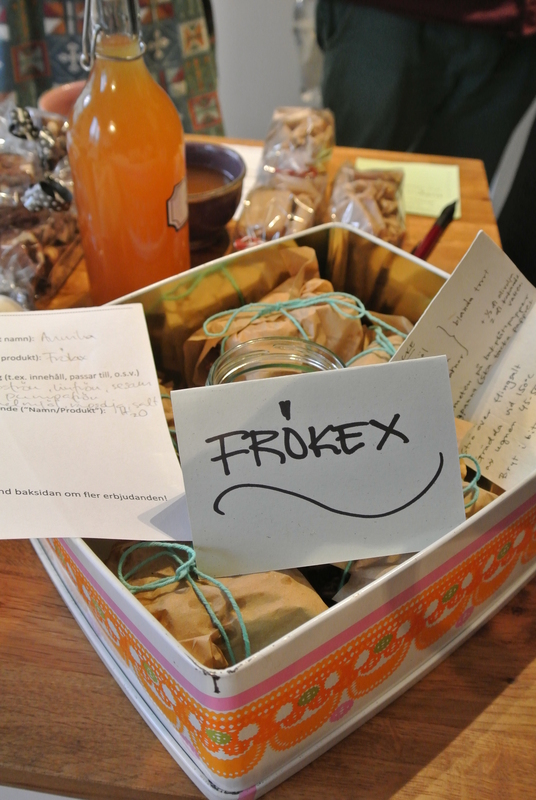 For this swap I had prepared pickled turnip, cinnamon cookies and Swedish crispbread. 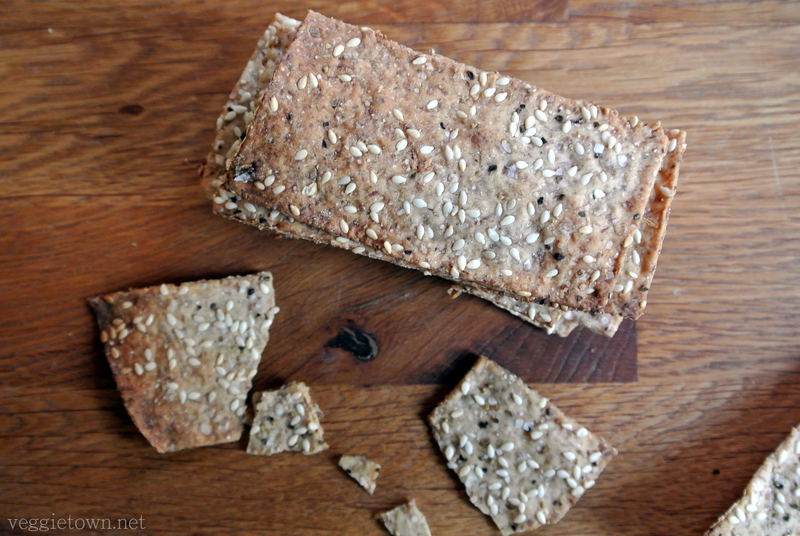 Today I am sharing my recipe for Swedish crispbread. As the name suggests, this bread is typical from here. 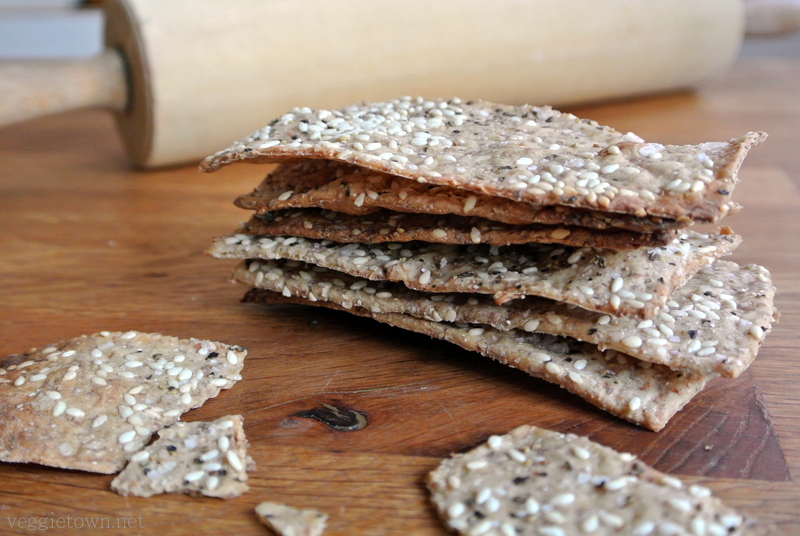 It comes in many different varieties and shapes but, Swedish crispbread is always hard, crisp and thin. The crispbread in this recipe is maybe not the type you would eat for breakfast but rather as a cracker with a nice spread on top. It is seasoned with sesame seeds, black pepper and flaked sea salt but you could easily swap this for something else. Other great combinations are rosemary and flaked sea salt or pumpkin- and sunflower seeds. Just make sure you roll out the dough very thin to get that perfect crisp! For more information about our upcoming food swap events, visit our Facebook page. 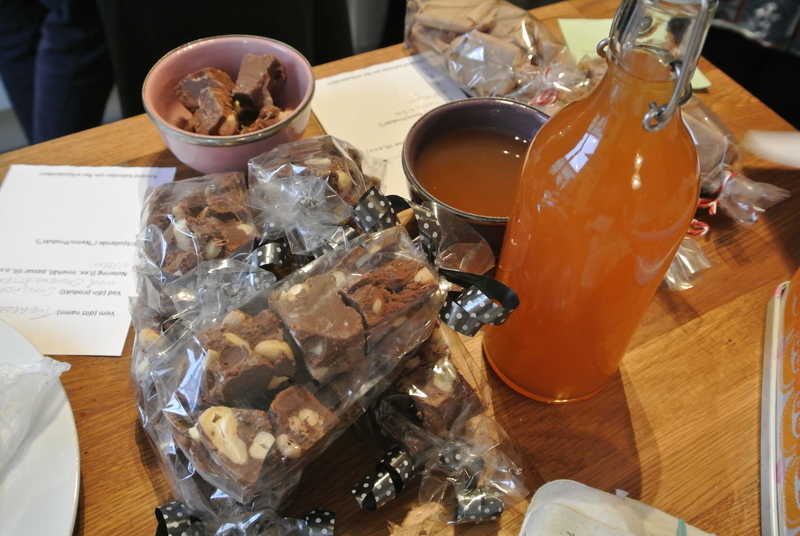 The table was full of homemade production. 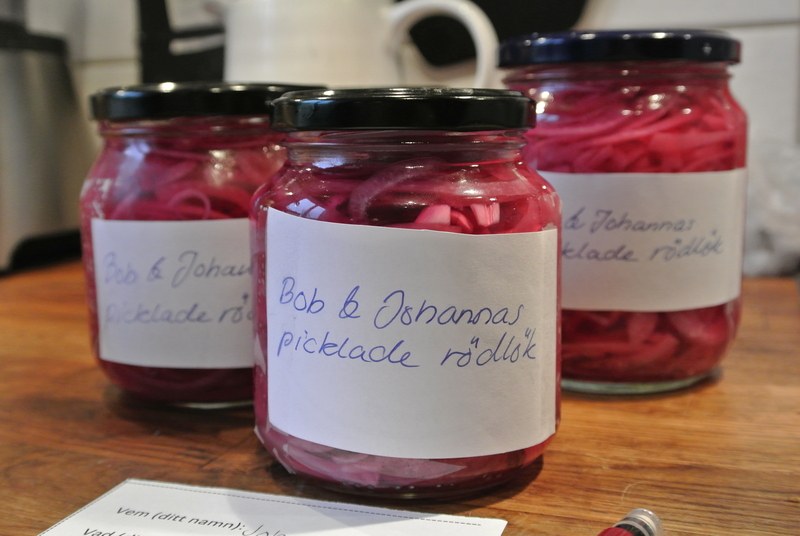 Pickled red onion. Great with burgers, sandwiches and much more. Chocolate fudge and apple “glögg”. Dissolve the yeast in lukewarm water. Add salt and flour. Knead the dough on a lightly floured surface (or a bread mixer machine) until smooth. Divide the dough into 3 equally sized pieces and let them rise for 30 minutes. Roll out each piece of dough into a very thin rectangle using flour to simplify the process. Spray some water over the rectangles and then garnish with sesame seeds, black pepper and flaked sea salt. Fix the garnish by rolling the rolling pin over the rectangles. Divide the rectangles in smaller pieces and place them on a baking tray dressed in parchment paper. Bake for approximately 8 minutes at 250°C / 480°F. Turn the crispbreads around after half the time. The baking time depends both in your oven and the thickness of the dough but keep an eye on them towards the end to make sure they don’t burn. 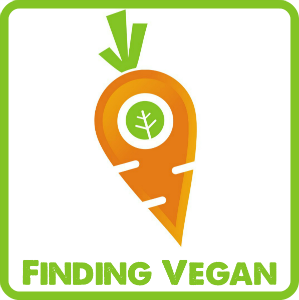 This entry was posted in Breads, Breakfast, Food Swap, Sweets and Snacks. Bookmark the permalink.